Lodhi Road next to Chinmaya Mission Delhi . 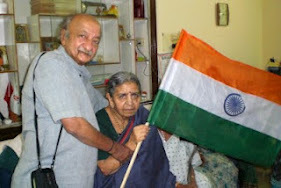 Encouraged by the success at Bangalore, Pune, Mumbai, Ahemedabad, Goa, Chennai and Hyderabad Celebrating Age India Expo 2012 is now set to launch at Delhi. Vision India and International Longevity Centre India ILC-I India’s premier Institute in ageing in association with Times Ascent is launching “Celebrating Age”!India Expo 2012 in Delhi. This ultimate retirement lifestyle showcase would be held on on 20th & 21st October 2012 at India Islamic Culture Centre -IICC Lodhi Road next to Chinmaya Mission Delhi.Near India Habitat Centre. “Celebrating Age”! India, the ultimate retirement lifestyles showcase, an Active Ageing Retirement series would be very significant in taking forward the agenda. This event would be an eye opener for those in the age group of 50 plus. Housing, income security, health, wellness and many other issues will be brought centre stage at the two day Expo. 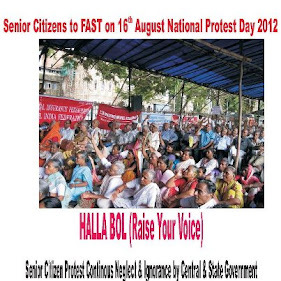 Statistics published by Helpage India and United Nations Population fund on International World Elders Day suggests that India had 90 million senior citizens in 2011 and is expected to swell up to 173 million in 2026.Given the above back ground Vision India a Market analytics firm in association with Patrons International Longevity Centre India in association with Times Ascent has launched the Active Ageing Expo series titled Celebrating age India Expo 2012 across eight cities in India. The objective is creating awareness about retirement as an important and significant phase of our life. "Celebrating Age”! India Expo 2012, the ultimate retirement lifestyles showcase is Produced by Vision India a niche consulting and market analytic firm to propagate products & services to those aged 50 plus and supported by International Federation of Ageing and International Longevity Centre India- ILC-I India’s premier Institute in ageing as Patrons. This event seeks to bring to the fore, the core areas of concern and of importance for senior citizens and provide them with the opportunities to lead a healthy and qualitative life of dignity in the golden eventide of their lives. This Mega event is a pioneering initiative on qualitative ageing and productive human talent. Experience with exuberance trends and tipping points that are accelerating change in consumer attitudes of those aged 55 plus. This market segment has only touched the tip of the iceberg in terms of the growth potential. Patrons: International Longevity Centre India ILC-I India’s premier Institute in ageing. Anchor Sponsor : Paranjape Schemes (Construction) Ltd ( Athashri). Presented by: MetLife India Insurance Company Limited. Bronze Sponsor: TheGoldenEstate.com/UCC Care Pvt. Ltd.
Insurance: MetLife India Insurance Company Limited, Max Life Insurance Company Limited, Bajaj Allianz Life Insurance Company Ltd., Star Union Dai-ichi Life Insurance Co. Ltd.
Time11.00 am-07.00pm on both days entry is Free. Presenting Sponsor: MetLife India Insurance Company Ltd.